This project is called The Enemy Boss Rush. 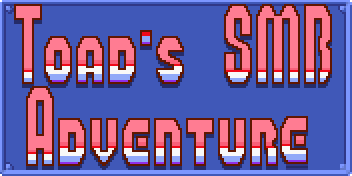 On this project you can play as five different characters and try to take out the good guys, take away the rainbow stars, and the 7 chaos emeralds. And there is a hub level for battle all the bosses you slowly unlock each boss 1 by 1 and finally to the final boss This is what the project's about so it will be coming soon! This game has been updated! there is new bosses, new tweaks, and a new playable character! make sure you read all you the sections! This Game has another update! and there is two new playables and two new bosses. This update you will like! pay revenge by taking out the good guys, taking the rainbow stars, and the 7 chaos emeralds! And Shadow Link also decides to assist the two in their quest. On The way to pay revenge they also are joined by Scarlette the Shy Guy And Birdo On their quest. The Buzzy beetle that organized the party. Buzzy Beetle's friend that helped with the party. Link's Shadow, He had battled link but lost the battle, and then decides to join Buzzy Beetle and Boo on their quest. A Shy Guy that's a friend of boo's and help the 3 take out the good guys. A birdo that is Scarlette's Buddy and also joins all the other 4 in their quest. You can now play as Shadow Link! You Can Now Play as Scarlette The Shy Guy! You Can Now Play As Birdo! Buzzy Beetle can now use all power-ups! Lunadll and Lunalua Is Required to play! Want to support this Project? Here's The Support Image! Let me know if you want to be a beta tester of this game! Last edited by Mosaic on Mon Nov 23, 2015 10:59 am, edited 49 times in total. As a matter of fact I somehow still have that Buzzy Beetle playable. Good times. Good luck with the project! Screens look really good so far. There's promise in this one. Anyway, from what I see, it Looks very interesting so far. The Story is just so funny as I read it... that is where I call it original. Screenshots Looks also interesting and it makes me curious as of what bosses are in store. I am prepared. The thing I like most so far is the Story. You've taken the usual "good guy goes and saves the valuables/princesses" to "bad guy goes and creates the chaos that you usually have to fix". I saw the title and thought that you must be playing as Bowser going up against different heroes (eg Fire Mario) but this is one step further than that. Buzzy Beetle and Boo is an unlikely combo, but it sure is interesting. The bosses look fairly unique so far and since you've gone and added Sonic characters, would that leave possibilities for heroes from other games as well? Squishy Rex wrote: The thing I like most so far is the Story. You've taken the usual "good guy goes and saves the valuables/princesses" to "bad guy goes and creates the chaos that you usually have to fix". I saw the title and thought that you must be playing as Bowser going up against different heroes (eg Fire Mario) but this is one step further than that. Buzzy Beetle and Boo is an unlikely combo, but it sure is interesting. The bosses look fairly unique so far and since you've gone and added Sonic characters, would that leave possibilities for heroes from other games as well? Yes it does I Am planning on adding bosses like Link, Samus, And Also Mega man. 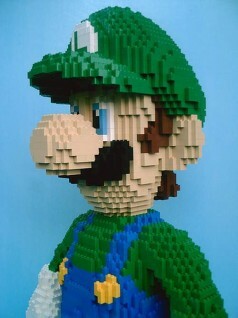 SuperMario12345 wrote: Yes it does I Am planning on adding bosses like Link, Samus, And Also Mega man. I'm waiting for a SMB3 Styled Tails and then I can progress with the project! The screenshots looks very good, hope you can make a nice project. Good luck ! Seems to be very similar to the story from "A Koopa's Revenge," and that was one of my favorite flash games when I was younger. 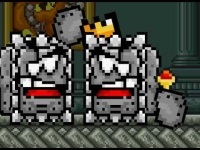 The Thwomp King wrote: Seems to be very similar to the story from "A Koopa's Revenge," and that was one of my favorite flash games when I was younger. Last edited by Mosaic on Sat Mar 14, 2015 2:34 pm, edited 2 times in total. Let me know when this is 100% finished and I'll play it some time. So why did you quote the first post? Is there anything new or so? Sorry that was a mistake. This Game has been updated! Read the new features! Why Isn't Anyone Replying to my work? SuperMario12345 wrote: Why Isn't Anyone Replying to my work? :? Joey wrote: Bumping topics is fine, except in certain cases. If you have progress in your project, feel free to double-post/bump in your topic. However, bumping a topic just because it isn't getting any activity is not allowed. Don't post a new message on your own thread solely for interaction purposes! You can bump a Topic if there are updates or anything relative to that but just for no activity on your own thread is not allowed, as stated in the rules above! SuperMario12345 wrote: Why Isn't Anyone Replying to my work? Sorry I didn't know that. Hey there! Your new screenshots Looks very nice and I really like that you Keep up to the theme to original Mario brother's section like SMB2 Daisy into a SMB2 Theme and so on. I also like the new Mario and Luigi's sprite of what you have. Looks pretty cute :3. Looking Forward to the release of the Video so I can record it fully! 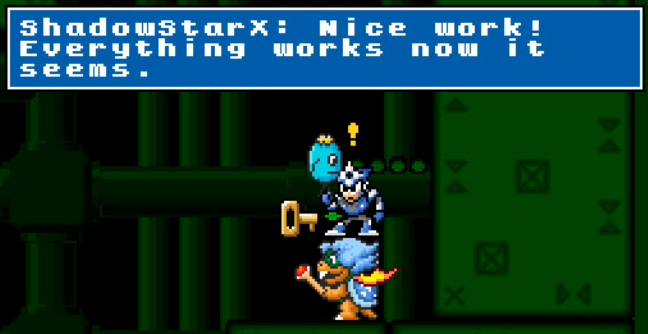 Question: How big will this SMBX Episode be like Level wise (How many Levels)? bossedit8 wrote: Hey there! Your new screenshots Looks very nice and I really like that you Keep up to the theme to original Mario brother's section like SMB2 Daisy into a SMB2 Theme and so on. I also like the new Mario and Luigi's sprite of what you have. Looks pretty cute :3. Looking Forward to the release of the Video so I can record it fully!